Kono Subarashii Sekai ni Shukufuku wo! Spin-off: Kono Kamen no Akuma ni Soudan wo! A self-proclaimed rival of Megumin. 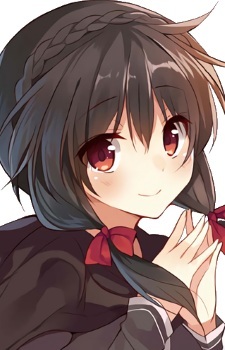 She is also the daughter of the Crimson Demon Magic Clan's Chief and as such she wants to prove herself the greatest by challenging Megumin at every given opportunity. She lacks social skills, resorting to using money to make friends.